Another appetizer that I had to try while at The Esso Club was their Fried Mushrooms. I am not a fan of mushrooms, but I am a fan of fried foods. Given these facts I had to see if I would enjoy mushrooms fried. I must admit that they were better than I had anticipated, but I still had a problem with the mushroom inside. The fried coating was nice and crispy and if you like mushrooms you would love the mushrooms inside. 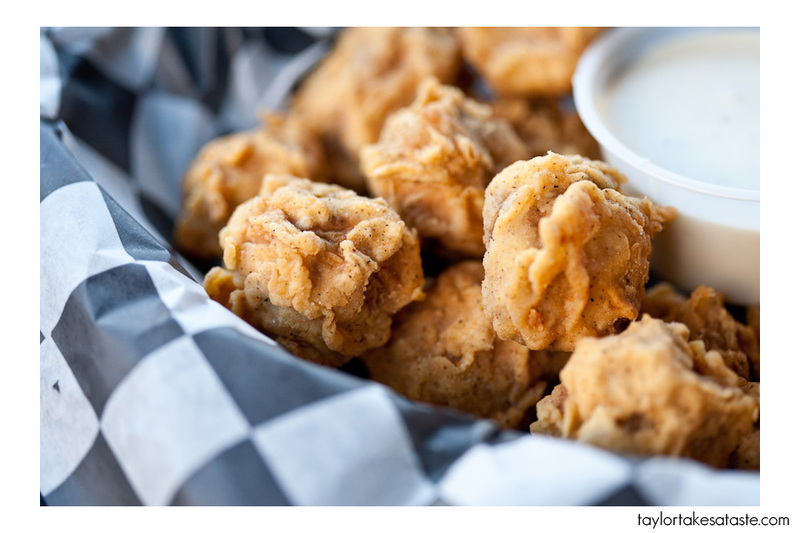 I am now convinced that if fried mushrooms dipped in ranch can not make me like mushrooms, nothing can. 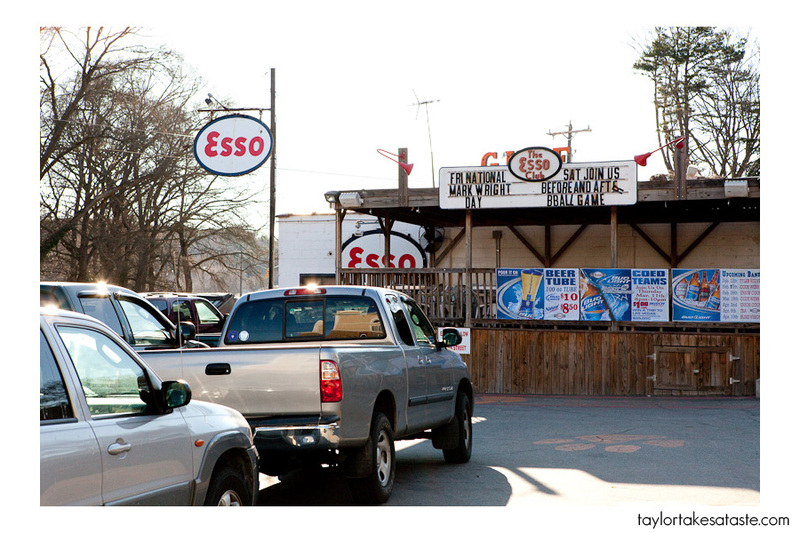 When in Clemson, I do suggest you make a stop at The Esso Club for the atmosphere and “fuel” (this is reference to the Fried pickles post). 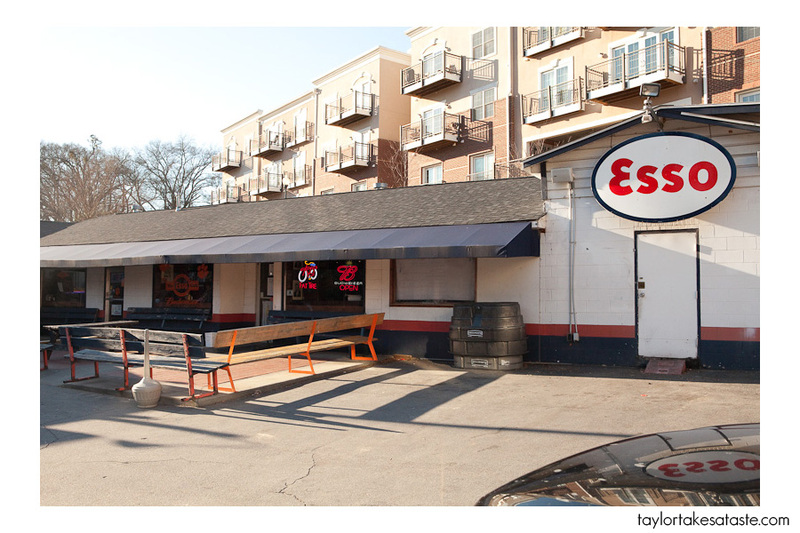 Have you ever been at The Esso Club on game day? Found this on foodgawker! 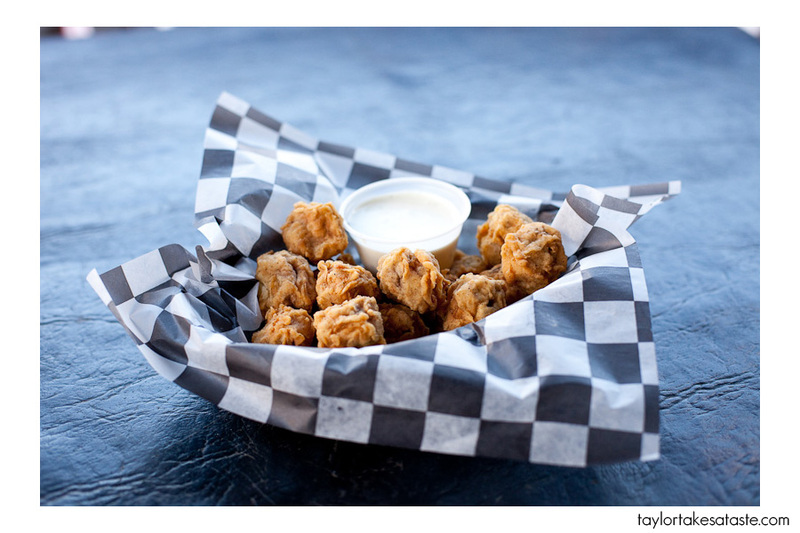 I am a junior at Clemson and I love fried pickles at the esso club (: GO TIGERS! Thanks Brennen, The Esso is an awesome place!